just some small peeks at the quilt i finished late last night, it is too windy and sunny to get nice full shots on the line today. 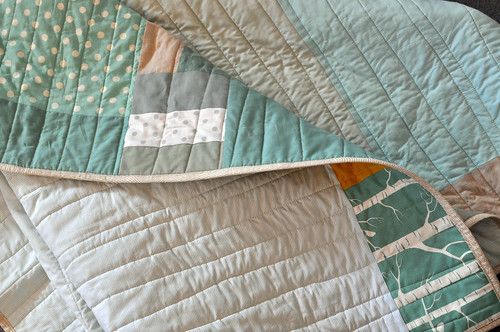 i'm pretty much in love with this quilt, as i should be, i guess, since it began as one to keep. this is the quilt i started making to go on the floor of sophie's playpen just after christmas. i chose the fabrics and began piecing it and then my husband brought home a suitable piece of leftover (new) carpet from work for the playpen floor. the quilt top lay unfinished and without a purpose until i picked it up again a couple of months ago. now it's all organically quilted and full of two layers of batting and just perfect for future couch time in someone else's house, it will be part of the june 1 shop update with the other two. it's tuesday and mae is at her half day of childcare and little soph is sleeping soundly. usually i am straight into the sewing room at this time but i'm feeling pretty lazy this afternoon. the sun is streaming in our back windows and i'm finding it hard to move off the couch. 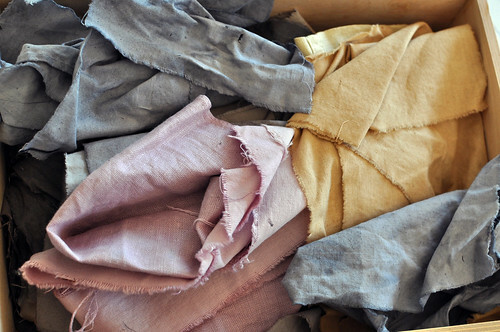 to make it feel like i'm actually achieving something, i've got a dye pot with chamomile tea bags simmering away on the stove and i'm idly playing with my box of naturally dyed fabric. 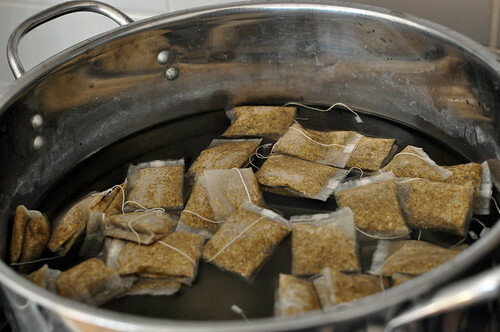 ideas, ideas. you have such a lovely style. your quilts always whisper leslie! well done on another beautiful softy. 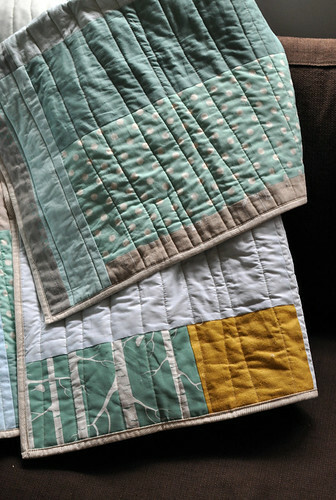 dear onegirl, I love your quilts and the idea to number them, that is so cool because every single quilt is a piece of art. I love your fabric choices, so so wonderful. 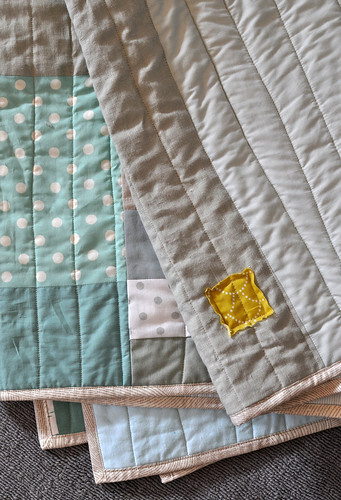 You are one inspired quilty machine! Favourite bit: the snippet of mustardy square with raw edges. Perfecto. I love this quilt... here I was saving all my money for a trip... maybe someone else will snap it up first. oh my. i think this one is my favorite of yours. i love to see what comes out of your sewing room.